There are a lot of opinions about which pigments to buy and why. And, yes, I hold some strong opinions on the subject. Because of some conversations over the last month I have decided it is time to share with you (again, for some) why I choose the pigments I do — and a little of the back story of how I have arrived at these 20 pigments. 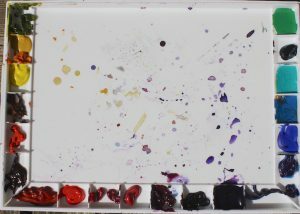 I hope it will help you as you decide what to include on your palette.